Asked about health care reform, Congresswoman DeGette shared a list of proposals with bipartisan support that she has been discussing with Democratic and Republican colleagues. Congresswoman DeGette answered a question about cuts to Medicare and reaffirmed her opposition to actions that would result in such cuts. Congresswoman DeGette shared her views on the current immigration debate, her support for the Dream Act and her advocacy for fixing our country’s broken immigration system. 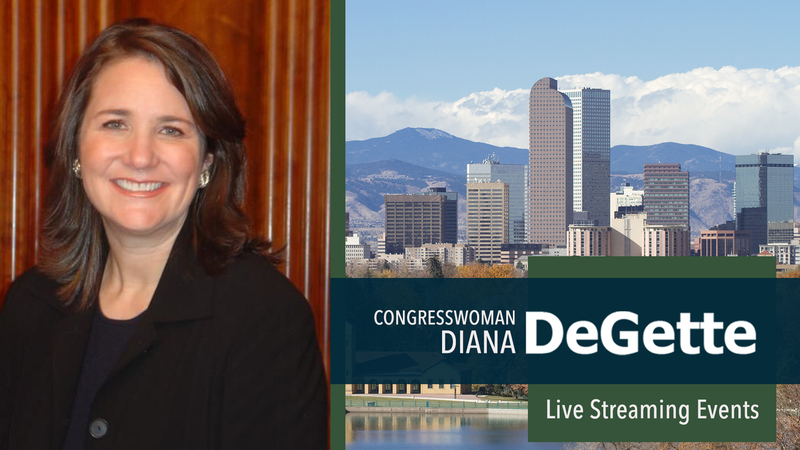 Congresswoman Diana DeGette held a telephone and video town hall to address the concerns of constituents, especially aging adults and their caregivers. About 2800 people took part. Topics ranged from Social Security to sensible gun safety to DACA to Medicare/Medicaid, and beyond.